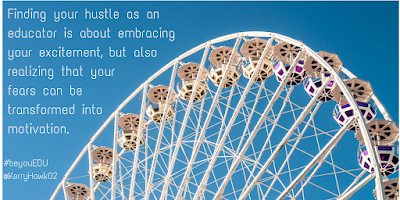 With that in mind, I wanted to strongly assert the principle that an educator's role is primarily to build meaningful relationships with students. Without those relationships, real honest learning cannot happen. I do believe, however, that technology can help build those relationships if used in a balanced and thoughtful way. My recent post with Corwin Connect helps explain some examples. I'd be honored and grateful if you'd read and share. This week I had the honor of working with my colleague, Julie Cremin, to facilitate our school's in-house summer EdTech conference. It is meant to help inspire teachers at our school to set new goals for engagement and tech integration in their classrooms. My intro to the PLN session. The thing is, although teachers know technology has the potential to change the way students learn, many do not know that it can change the way they develop as professional educators. Our teachers spend much of their time putting their students first, so Julie and I felt strongly that part of teacher EdTech training should be about the educators. After all, the students would benefit from their teachers' growth in the end, right? Near the end of our 3 day conference, the final session I facilitated was about the power of building a PLN (Professional Learning Network) through social media. First I defined PLN for the teachers who joined the conversation. The group of people a learner interacts with, formally or informally, and derives knowledge from in online or in-person environments. Then I gave them some key resources I've been able to create with members of my PLN. 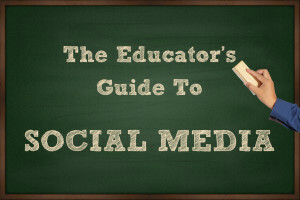 These included The Guide to Social Media for Educators I co-authored with Larry Magid, and a podcast called The Connected Educator with Dr. Will. You see, this was not going to be a "how-to" session. It was going to be a "why" session. Many educators are intimidated by social media because of the tough language in their school's acceptable use policy or because of the news stories of online harassment. My mission was to show them the professional and personal benefits of engaging on social media, while giving them the knowledge they need to protect themselves. Glenn Blakney is a middle school math teacher at our school. 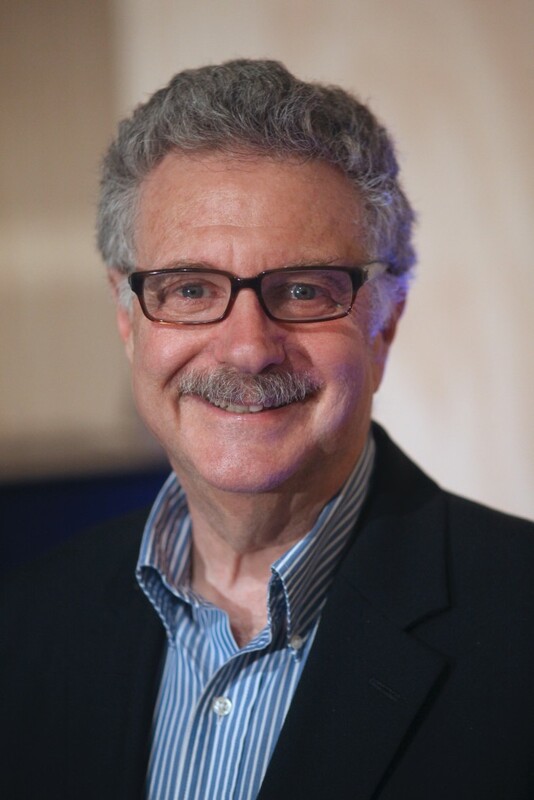 If you ever have the pleasure of talking with him about why he believes in the power of math, he will likely bring you to his Google+ page and start clicking on the many resources he has posted there. You'll get to watch videos, complete experiments, and read fascinating articles. When Glenn talks about math, it's clear he is the person you want teaching your child. When you look at Glenn's Google+ page, you will wonder where these amazing resources were when you were a student. Glenn is thriving from the resource gathering and sharing part of the PLN, and his students are the beneficiaries. All of this shown through during his contribution to our session. Alexandra Horelik and I have a funny history. We've been connected as history teachers for several years on Twitter. I even sought her out for advice as I implemented a new teaching strategy - the #EdCafe - I knew she had experience with last year. Thanks to her advice and resources, my students were able to successfully implement it in our class recently. This past week we found ourselves face to face for the first time. As luck would have it, our new jobs brought us to the same school! Alexandra shared her favorite ways to use social media: Twitter chats, like #sschat and #sstlap, along with discussions of lesson plan ideas and strategies on a more personal basis. Then it happens. You meet your professional soulmate. Tammy Neil math teacher/library media specialist/computer applications and game design extraordinaire/teacher of the year (yup - she deserves every letter of that title) is my soulmate. We have little in common on paper. We're from states with starkly different cultures and economies. 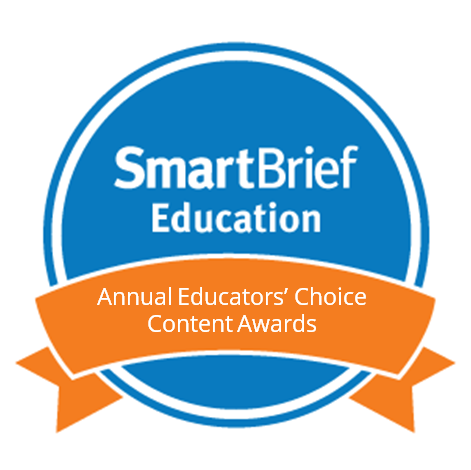 We've taught content areas that are considered quite different. We aren't the same age or religion. And yet, Tammy and I have so much in common when it comes to our pedagogy, our love for connecting with others, and our beliefs about what is best for our students. Tammy was kind enough to make time on her third day of school to be a part of our PLN session via Google Hangout. 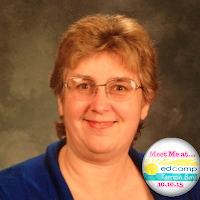 She and I talked to my new colleagues about how we first connected in a Twitter chat, started talking more on Voxer, and met at a conference in Orlando, Florida shortly before she drove me to my first edcamp experience in Tampa. Since then, we've met again once at ISTE in Philadelphia and continue to talk quite often on Voxer. She is one of my newest and truest friends. We've met one another's students (via Google Hangout), written to and about each other on our blogs, and supported the other though times of both celebration and struggle. I'm fortunate enough to have forged a relationship with Tammy that is an exemplar for how valuable social media connections can be for educators and for their students. Sharing that first-hand experience with Tammy was a privilege. Remember to keep your district's Acceptable Use Policy (AUP) in mind while allowing yourself to grow through your own PLN. Formalities are no fun, but they are important. 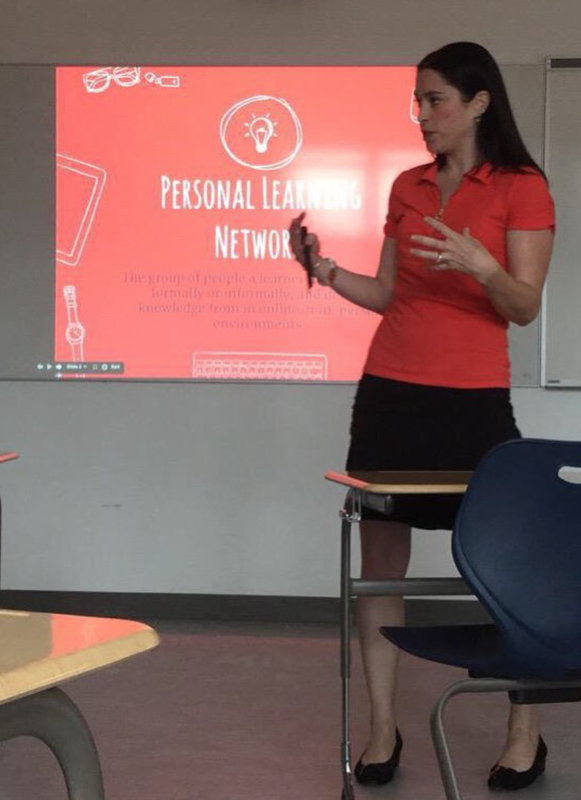 Even as I was showing my new colleagues how far a PLN can take them, I was explaining our school policies when it comes to online interaction with students, parents, and members of our school community. Teachers should feel empowered by the connections that social media can make possible. They also must recognize that school AUPs, which can limit those connections, are written to protect all members of the community. With that in mind, some AUPs have been in effect for 5 years or more and need updating. When that revision happens, it is important for administrators, teachers, parents, and students to be a part of the process. Since then, we have some new teachers to Twitter from my new school. A few have told me they are ready for me to introduce them to my PLN, and they might even try out a Twitter chat. Social media is a tool that can be used in different ways by different educators according to their differing needs. 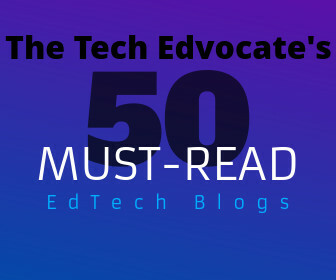 The key here is that instructional technologists, like Julie and I, would be wise to remember that educator professional development should go beyond tech-for-the-sake-of student learning. When teachers see how the technology -- social media in this case -- can benefit themselves, we will get more buy-in and the students will be the ultimate beneficiaries. Thanks to the power of EdSurge, these 4 powerful teaching strategies -- made possible by some smart edtech tools -- are no longer a best-kept secret. I've seen some incredible change in student interest, engagement, and student-teacher relationships thanks to these ideas. Click the graphic below to read more! Click to see the full text pdf of the guide. Educators can feel confident that the guide covers everything from communication with parents, to posting images and videos, to online harassment, to building a professional network. It is all in this easily-accessible document that is free. 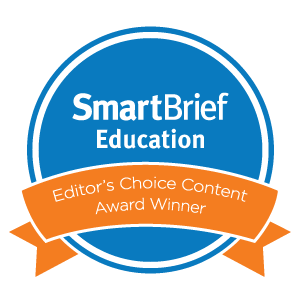 The guide was featured in the Huffington Post, Beyond Pencils (the Smarter Schools Project blog), and EdSurge. It also comes with a website full of links to tools, resources, and articles that can help educators dive even deeper once they are ready. The final paragraph of the guide really delivers the overall message: Social media is nothing to be afraid of in education. If used thoughtfully by teachers and students, it can open doors for professional growth, better school-home communication, and learning that goes far beyond the classroom walls. 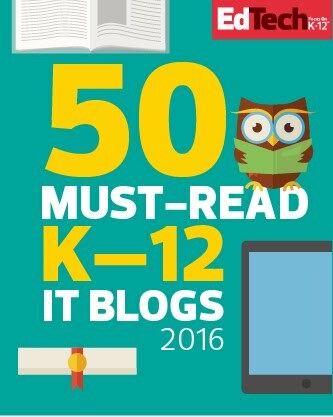 I was honored to be invited to write a guest post for the DigCitSummit group and to work closely with David Ryan Polgar to develop a topic and pull it all together. After working hard to develop a digital citizenship curriculum at my new job, I had some reflections on the (very much ongoing) process and best practices. The result is an article that seeks to emphasize that digital citizenship is a new part of citizenship, and should not been seen as -- or taught as -- a separate category. Although the realist in me knows that our society at large is not quite ready for this shift, I eagerly await the day when “digital citizenship” is not a special term. Instead, we will talk about citizenship in general. There will be a common understanding that our communications and contributions online should be measured and judged the same way our communications and contributions are in person. Similarly, just as educators talk about how teaching the whole child is more important than teaching content, my hope is that educators will see that teaching good digital citizenship is an integral part of that whole child. Our children do not see their online lives and their face-to-face lives as separate. All of their interactions -- digital or in person -- are part of one whole life. This does not mean students know how to properly express themselves in the digital world. Adolescents are developing their social and individual identities. Just as they struggle with how to communicate effectively in person at this stage of life, online communication must also be a part of their growth. The reason digital citizenship is an especially hot topic is that adults are also struggling with digital communication and self-expression. Adults are asking themselves: What should I share? What shouldn’t I share? Is it best to engage at a minimal level in the interest of staying safe? Should I mix my personal and professional online connections or keep them separate? Rasmussen’s study on digital literacy reveals that people of all ages want to embrace the power that digital tools have, but are worried about the risks. So how do we teach our children the right way to participate in this online world if we adults are sometimes unsure or overwhelmed? As a writer and coach in the edtech arena, this is a question I tackle often in conversations with parents, teachers, administrators, and even policy-makers. The premise that all of these discussions must start from is that digital citizenship education should not be a special unit or event. It is all of our responsibility. Classroom teachers have a lot to balance. Rather than tossing digital citizenship on their already-full plates, schools need to provide time for reading, discussing, and learning so that educators can clearly form their own understanding of digital citizenship. Some teachers are already quite active on social media, participating in Twitter chats regularly and posting updates of their classes on Instagram or blogs. Others might not be engaging online at all. There is no right or wrong way, as long as teachers are being safe, thoughtful, and know why they have chosen to engage or not. The next step is to open the dialogue between the school and parents. As students are using technology more and more in their education and personal lives, educators and parents need to be on the same page about which uses are helpful and which are hurtful or distracting. The technology is not inherently bad or good, it is a tool that can be used well or used poorly, just like any other tool. Once parents and educators have a better grasp on these uses, they can work together to teach and monitor children’s use of technology. There should, of course, be an ongoing conversation with students. Ask them which social media platforms they are using and why. Ask them how they find information online. Adolescents and teens are often eager to share if we really take the time to listen. Educators and parents will never be able to keep up with all of the information and tools our children are using unless we keep them as an equal voice with all others in the digital citizenship discussion. Finally, schools need to commit to integrating digital citizenship in all classes. When “teachable moments” present themselves, teachers should use common terminology like digital tattoo, digital footprint, etiquette, data, privacy, and more. What’s more, waiting for these “teachable moments” is insufficient. 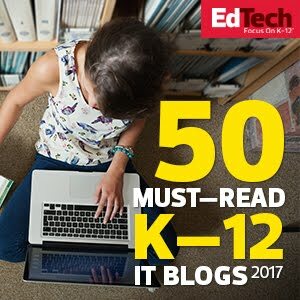 There are plenty of articles and resources on how to effectively integrate digital citizenship in content-area classes at all levels. This one, this one, and this one are great examples. It is notable that organizations like Common Sense Media and iKeepSafe have incredible stand-alone complete digital citizenship curriculums to offer. Some forward thinking schools, such as the Providence Day School, have published their curricula as well. However, I urge schools that are just getting started to avoid adopting them as special classes or separate programs during the school year. Full integration is a best practice. So, use the excellent resources these groups publish, but be sure they are a part of an integrated long term school-wide plan, and not a one time event. To learn even more about digital citizenship, register for the DigCitSummit October 3 event to hear from national leaders on this important topic.